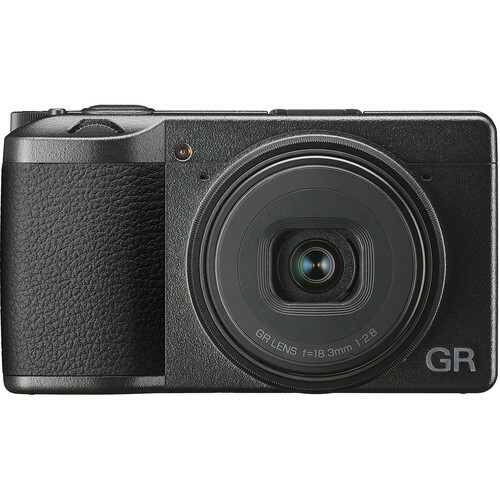 Ricoh has just officially announced the new Ricoh GR III, offering impressive image quality, fast response, and immense portability. This new camera has a 24.2MP APS-C CMOS sensor and GR Engine 6 to realize smooth tonality and rich color, with the ability to produce high-resolution 14-bit DNG stills or Full HD video, an updated 28mm-equivalent prime lens, which features a bright f/2.8 design, to suit everyday shooting with a comfortably wide field of view, a 3-axis Shake Reduction System. This new camera costs $899.95, first available for Pre-Order at B&H/ Adorama. 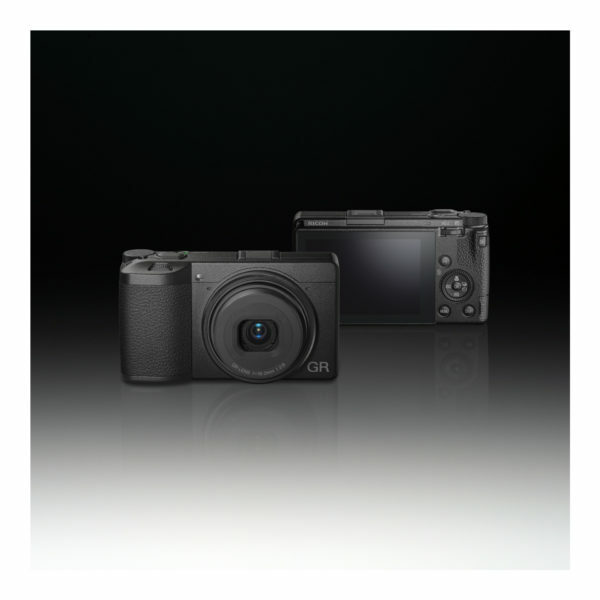 Featuring an updated design, a 24.2MP APS-C CMOS sensor pairs with a new GR Engine 6 to produce high-resolution 14-bit DNG or JPEG stills with impressive tonality, natural color rendering, and fine detail. In addition to full-resolution, wide-angle images, a pair of useful crop modes—35mm at 15MP and 50mm at 7MP—let you simulate the look of working with longer focal lengths. A fixed prime 18.3mm lens offers a comfortable 28mm equivalent wide-angle lens, which is complemented by a bright f/2.8 maximum aperture to suit working in a variety of lighting conditions. The optical construction incorporates six elements in four groups, including two aspherical elements that help to reduce spherical aberrations and distortion for improved sharpness and accurate rendering. Two focusing modes also suit working with general subjects, from 3.9″ to infinity, while a dedicated macro setting benefits working with close-up subjects within a 2.4-4.7″ range. 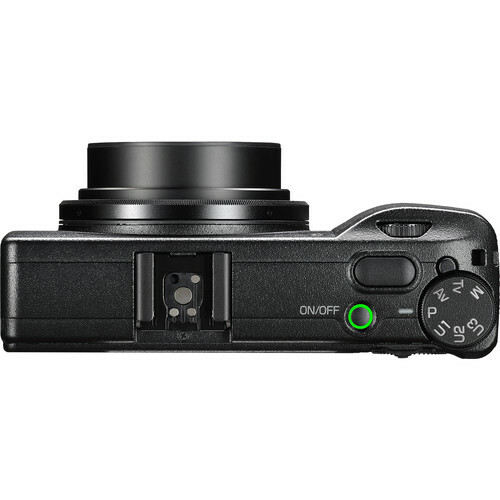 Additionally, the redeveloped lens design also results in greater contrast and measures 1.5mm thinner than previous GR/GR II digital cameras. 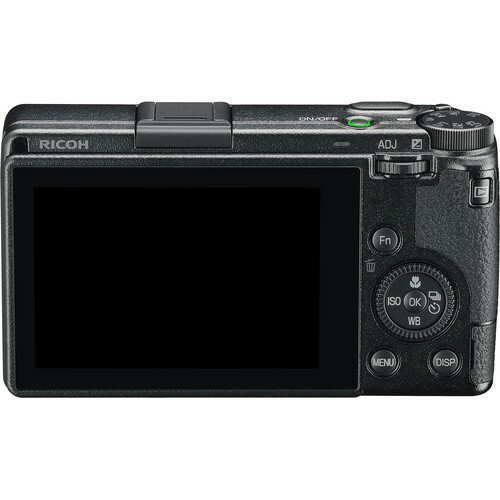 Integrated 3.0″ 1.037m-dot LCD features a capacitive touchscreen design for intuitive, familiar operation during shooting, playback, and menu navigation.